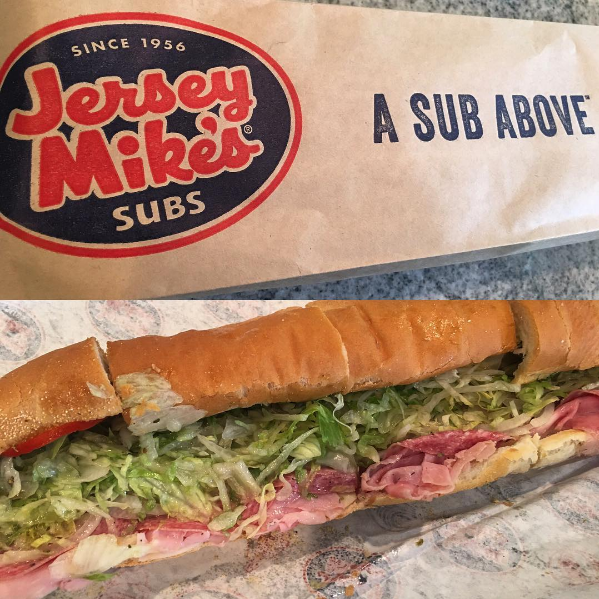 There’s a delicious variety at Jersey Mike’s! We paid a return visit to our friends at Jersey Mike’s. We stopped by the 6408 W. Jefferson Blvd. location, but you can find them at two other locations at Northcrest Shopping Center and 10020 Lima Rd. I decided to try the Stickball Special (provolone, ham, and salami) this time around. I wasn’t going to get it Mike’s Way, but the friendly staff behind the counter insisted I try that sandwich Mike’s Way. Their persuasion did not disappoint. The first bite, and every bite thereafter, was deliciously mouthwatering. The Giant size sandwich is the best value because you can eat some now and save the rest for later. Luckily on our last visit we joined their Shore Points Rewards program. So, our purchase today earned points that will go towards a FREE sub on one of our future visits! For even more savings, don’t forget our coupons in this issue of Money Saver Magazine!